Provide comfort for the family of Willard Vaughn with a meaningful gesture of sympathy. Willard Vaughn, Jr., age 75 of Cookeville, Tennessee passed from this life Monday, March 25, 2019, at NHC Healthcare of Cookeville. He was born Thursday, March 23, 1944 in Cookeville, He was the son of the late Willard Vaughn, Sr. and the late Florene (Harville) Vaughn. Willard was a loving Husband, Father, and Grandfather, Great Grandfather, and friend to all that knew him. He attended Lakenheath High School in Lakenheath England and graduated Cookeville High School in 1963. Willard retired from Kroger as Grocery Manager after 41 years of employment. He loved the Putnam County Fair and was on the fair board for 7 years. He was a member of AQHA, TQHA, and enjoyed showing in Tennessee and other states. He is survived by his wife: Miriam (Jones) Vaughn from Petersboro, England whom he married June 17, 1963 at Pippin Church of Christ. Funeral services will be held Thursday, March 28, 2019 beginning at 11:00 AM from the chapel of Crest Lawn Funeral Home with Bro. John Anderson officiating. Interment will follow in Crest Lawn Memorial Cemetery. Pallbearers will be Cameron Thompson, Tanner Vaughn, Jake Johnson, Devin Wright, Ronnie Mayberry, and Lane Mayberry. The family will receive friends at the funeral home Wednesday, March 27, 2019 from 5:00 PM to 9:00 PM. To send flowers in memory of Willard Vaughn Jr., please visit our Heartfelt Sympathies Store. 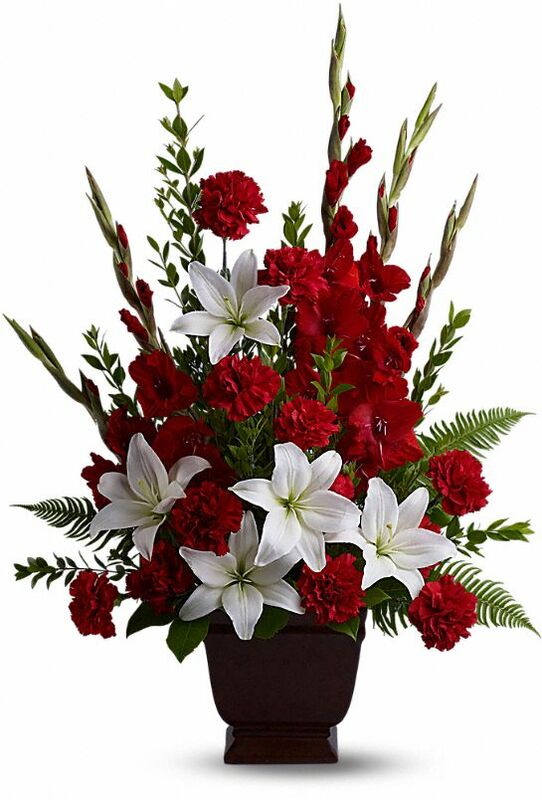 Dustin Linder and the Story Family and Nancy Gessner have sent flowers to the family of Willard Vaughn Jr..
Miriam and Family, I am so sorry for your loss. I know too well the pain of loss and there just are no words to take away that pain. May our heavenly Father who knows your grief and pain, bring you peace and comfort and may love of family and friends help you during this time. Willard and I were childhood friends. My family and his were friends and his grandpa plowed my grandma's garden each year. Willard and I were in the first grade together at Tech Training school. The school had just opened and the cafeteria wasn't finished so we had to take our lunch. The school provided little glass bottles of milk with foil caps that were hard to get open. Each day Willard would sharpen his big old yellow first grade pencil and go around and poke a hole in everyone's milk and put straws in them. Even way back then he was a kind, helpful person and I know he continued to be throughout his life. I am so sorry about your loss--I know you'll miss him terribly. Dustin Linder and the Story Family purchased the Tender Tribute for the family of Willard Vaughn. 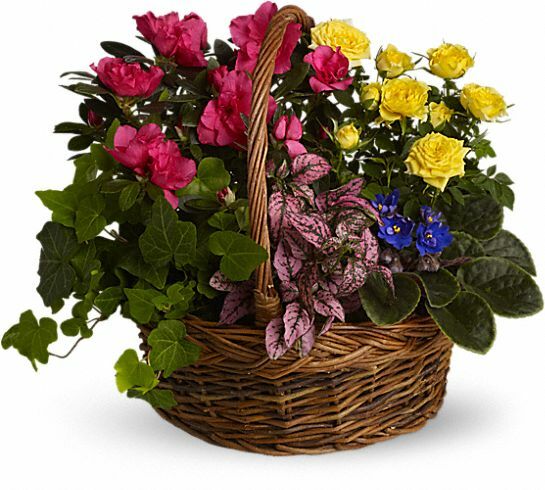 Heartfelt Sympathies Store purchased the Blooming Garden Basket for the family of Willard Vaughn.